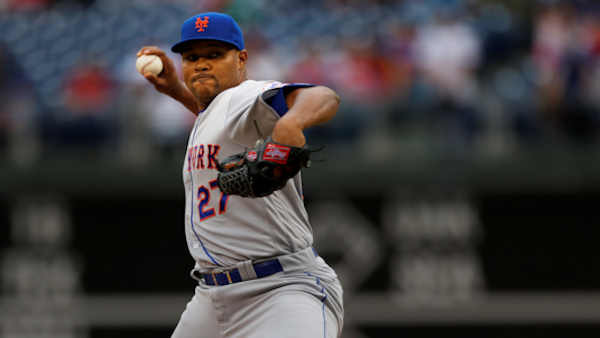 FORT LEE, New Jersey -- New York Mets pitcher Jeurys Familia has pleaded not guilty to a disorderly persons charge stemming from a domestic violence case. Familia appeared Thursday in municipal court in Fort Lee, New Jersey, with his lawyer and a Spanish interpreter. He was arrested Oct. 31. A complaint filed by authorities alleges that Familia caused "bodily injury to another" and that the victim's chest was scratched and cheek was bruised. Both Familia and the alleged victim wanted the previous requirement that they have no contact removed, so the judge agreed, according to Newsday. The judge advised Familia that the case can move forward even if the alleged victim chooses not to cooperate with authorities. If convicted, Familia faces up to six months in jail, a $1,000 fine and two years' probation. The 27-year-old All-Star pitcher from the Dominican Republic is identified in the complaint as Jeurys F. Mojica. Major League Baseball says Familia's extended last name is Mojica. The married father of one is the Mets' closer. He was among several New York sports figures who joined a national anti-domestic violence campaign last month. Commissioner Rob Manfred said Wednesday that he anticipated it would take time for MLB to investigate the case.